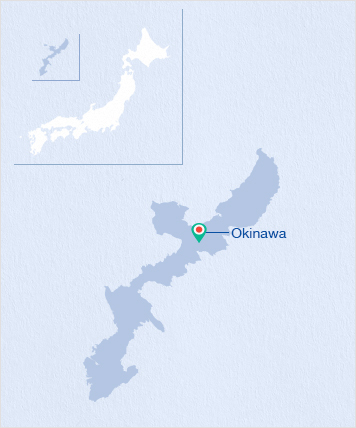 Okinawa Prefecture is Japan’s southernmost prefecture consisting of 160 islands, 49 of which are inhabited, scattered across a vast area of ocean. The crystal-clear water, white sandy beaches, coral reefs, as well as the unique Ryukyu culture make this a popular beach resort and water sports destination. After going sightseeing in the large and hectic cities, a visit to Okinawa to discover and relax on the smaller islands makes a welcoming contrast. Part of what makes Okinawa so unique is that its location brought it into frequent contact with Taiwan, China as well as Japan meaning its influences were varied, leading to architecture and cuisine not found on the rest of Japan. As a vassal state to the Ming and Qing dynasties, the Chinese influence was keenly felt in places such as Shuri Castle, which, with its bright red main building taking its cues from Chinese architectural styles. Located on the Okinawa main island, the prefecture’s capital Naha is the hub of the region, with a flight time of 2 hours 30 minutes from Tokyo. There are plenty of tourist attractions on the main island, but to experience the natural beauty of Okinawa’s landscapes and beaches, a trip to one of the smaller islands is highly recommended. 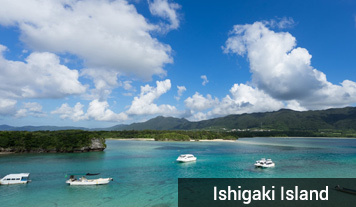 Ishigaki is one of the main islands of Yaeyama and can be accessed directly from Tokyo, Osaka, Nagoya and Naha by air. 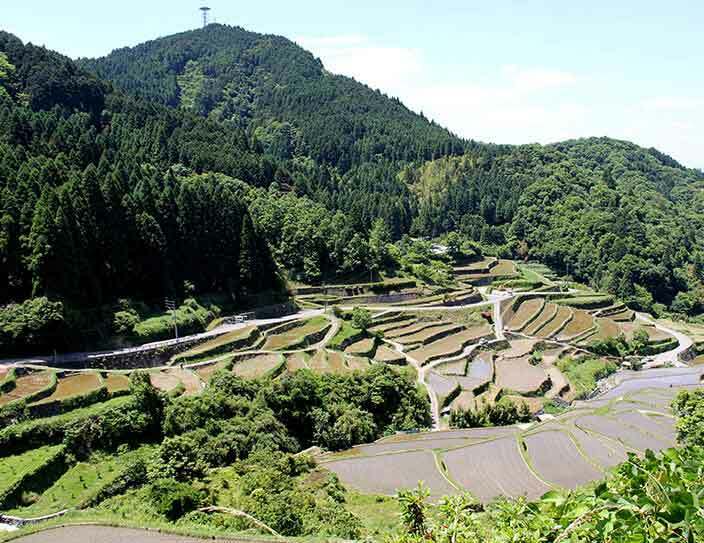 A direct flight from Fukuoka also operates during the peak summer season. With beautiful beaches on offer, the island and the surrounding coral reef is a popular destination for snorkeling and diving. It is also famed for its crystal clear water which is home to a popular of Manta rays. 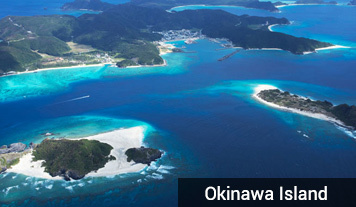 The coral colonies off Ishigaki are considered to be one of the largest in the world. 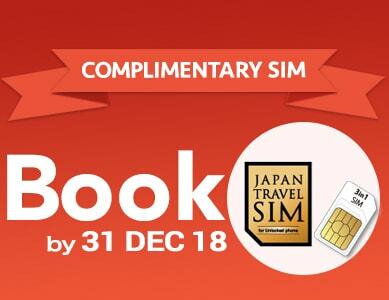 An ideal itinerary might include a stay on Ishigaki and make daytrips to the other islands such as Taketomi, which is only a 10 minute ferry ride away. A small island located about 90km west of Naha City, Kume Island and can be reached in 3 hours and 15 minutes from Tomari Port in Naha by Boat or 30 minutes by plane. 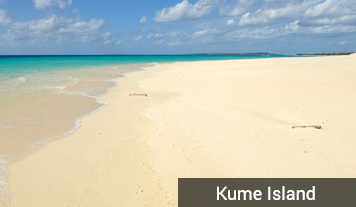 The most popular tourist attractions are Ifu Beach on the eastern part of the island and “Hate no Hama”, which is an island of only white sandy beaches surrounded by clear water. 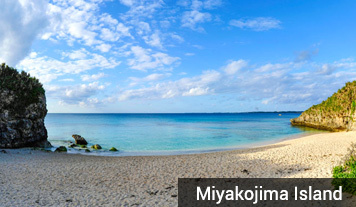 Miyakojima Island is situated in the Pacific Ocean about 300 kilometers southwest of Okinawa main island. Direct flights to Miyakojima are available from Tokyo, Osaka and Naha. This island is famous for its clear blue sea and sandy white beaches, which are considered to be the most beautiful in Japan. 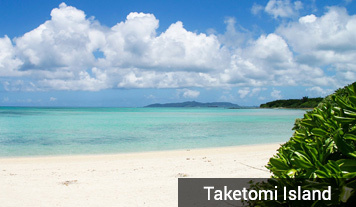 The beautifully quaint island of Taketomi is a 10-15 minute ferry ride from Ishigaki Island. It is one of several beautiful Yaeyama islands, thoughtfully preserved as a traditional Ryukyu style village, with its clay-tiled single story dwellings. A water buffalo carriage is a great way to explore the island. Kondoi and Kaiji beaches are the main attractions for visitors looking to relax and soak up the sun.